Nearly 70 percent of travel buyers say that enforcing policy compliance is among the most challenging aspects of their job, according to new research out today from the Global Business Travel Association (GBTA) in partnership with RoomIt by CWT. While travelers may book out-of-policy for preferred properties or amenities, there is also a large gap in traveler knowledge of company policy. Reducing program costs, increasing policy compliance and traveler satisfaction top the list of goals travel buyers have for their travel programs in 2019. Travel buyers typically negotiate with a variety of suppliers to provide their travelers with the best possible rates. While the vast majority (78 percent) of business travelers say they are satisfied with their rate allowances for booking hotels, two-thirds (66 percent) also say they would like a higher rate allowance to stay at preferred properties that may better meet their needs. In fact, U.S. business travelers are more likely book luxury properties, potentially out of policy, according to the research. Only 7 percent of European buyers say they allow luxury properties in their hotel programs compared to 16 percent in the United States, yet on average only 8 percent of UK travelers and 7 percent of French travelers book luxury properties versus 30 percent of U.S.-based travelers. The trend of U.S. travelers booking luxury out of policy may be related to higher dissatisfaction with rate allowance. Travelers want to use amenities that are not always included in their travel policy, leaving room for increased satisfaction. Over three-quarters of business travelers would prefer to book bundled rates including multiple amenities, even if the rate is slightly higher, however, very few (11 percent) travel programs always allow booking bundled rates. Travelers often book bundled rates with the belief that doing so ultimately contributes to cost-savings goals, although that may not necessarily be the case. When travelers were asked which amenities they would purchase on business travel if they had no limits within their company policy, they cited several, including premium WiFi, gym passes and food delivery services. 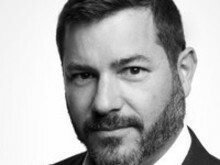 The inability to earn loyalty points could drive traveler dissatisfaction. Nearly three-quarters (71 percent) of travelers believe that if they give up their time to travel, they should have the ability to earn loyalty points and over half (51 percent) would risk being reprimanded for booking out-of-policy if it meant they could book a hotel where they could earn loyalty points. Loyalty plays a significantly bigger role in the United States as 25 percent of U.S. business travelers say the ability to earn loyalty points is a factor in choosing where to book, and over half (52 percent) say they would never consider booking a hotel where they could not earn loyalty points. This compares to 37 percent in France and 31 percent in the UK. An online survey of 265 travel buyers in the United States (131) and Europe (134) was fielded between September 19 and October 12, 2018. European countries surveyed included United Kingdom, Germany, Denmark, Norway, Sweden, France, The Netherlands and Finland. Additionally, a survey was conducted of 750 business travelers in the United States (247), United Kingdom (254), and France (249) using an online panel. This survey was fielded between October 5 and October 15, 2018 with respondents qualifying if they (1) were employed full-time or part-time, and (2) traveled for business more than once in the past year. 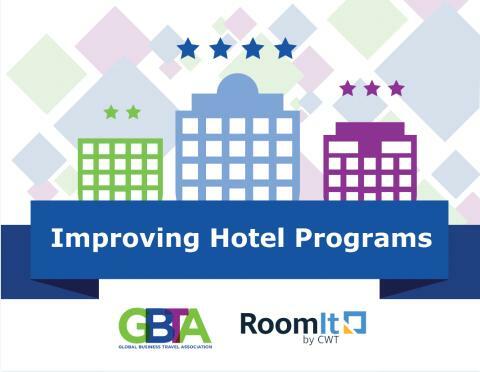 RoomIt by CWT is the hotel distribution division of Carlson Wagonlit Travel, a long-standing leader in business travel. Every day we match travelers with the right room at the right rate, and every minute we book over 30 hotel rooms. We also provide travelers with the amenities and loyalty programs they want; while helping organizations control their budget and improve travel oversight.